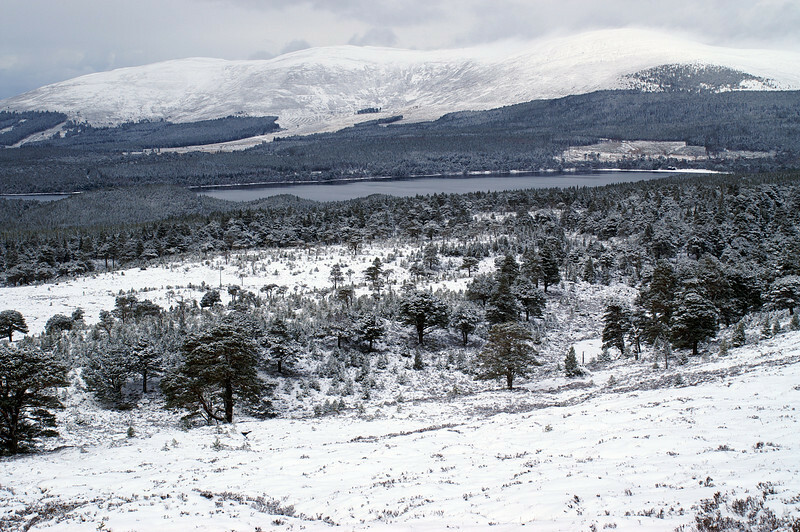 Photos taken mostly on two winter walks with Gary in the Cairngorms. One began from the road below the Glenmore ski resort and crossed to the Lairig Gru via the Chalamain Gap, then returned via Rothiemurchus Lodge and the little canyon of Eag a Chait. We set out hoping to reach Braeriach, or at least the Pools of Dee. But weather and conditions made both the altitude and the distance impossible. Our next day's walk was from Glen Feshie to the summits of Geal Charn and Sgor Gaoith, which link onto the Cairn Toul / Braeriach ridge. We made the summits but, again, deep snow limited our speed and we managed only about 1mph over 9 hours, almost running out of daylight as we got back to the car.